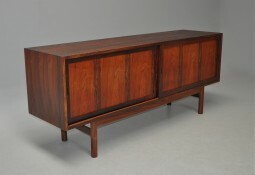 This is a good quality Danish rosewood sideboard from the 1960s. The front has a striking design of cleverly laid bands of repeating veneers. There are two large sliding doors behind which there is storage with shelving. 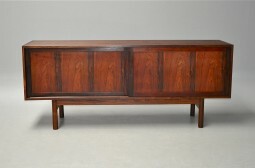 The sideboard is in very good condition, it has been cleaned and waxed. 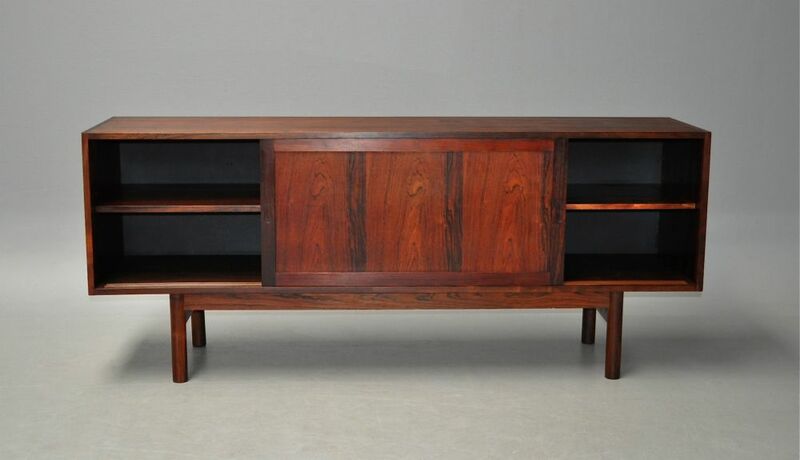 The measurements are 180 cm wide, 47 cm deep and 75 cm high.